It’s 2017. Time to stop complaining about your current job (or your lack of one) and put your skills to work in finding a great new career opportunity. If you’re early on in your career, then you likely know about all of the incredible resources out there including LinkedIn job search, online job search portals like Indeed and great technology like video resume builders. But while all of these resources and technologies are amazing, it’s critical to bring these together with some of those other skills that we so often ignore or forget about because the fun tools seem so cool and will really help us stand out…right? Wrong. Although we are part of the millennial generation with so many resources to market ourselves, the tried and true approaches are really where we can differentiate ourselves and trump the stereotype of the “lazy Millennial.” We need to network with others, shake hands and introduce ourselves; we need to have face-to-face interactions to really put ourselves out there and showcase what we can bring to the table. The true value of showcasing your interpersonal skills. The reality is that companies need employees who are not only tech savvy but they need to know that we can work with and across departments to “sell” our ideas and gain consensus when needed. While somewhat dependent upon individual roles, most valuable employees have the ability to work hard as individuals but also as part of a team, often navigating challenging situations. If you don’t exhibit these skills as part of the interview process, then how will potential employers know what you’re capable of? Being a few minutes early for your meetings. Listening attentively while others are speaking. Yes, they seem so basic but I’m always amazed at how people forget to pay attention, don’t take advantage of face time and fail to pay attention to what’s going on in the moment. Don’t worry…those texts, emails, and Instagram posts will be there once you’re done. Skipping steps is not the answer. Our world moves so quickly these days and we have everything at our fingertips; Uber rides, banking apps, texting…the list is endless. And because of this speed and our enthusiasm for making a difference in our careers and for our employers, we sometimes forget that not everything can be “fast-tracked.” Realistically, there is no substitute for experience and we have to put in the work to ensure we make an impact. But the great news is that we can differentiate ourselves by pairing this experience with great tools and our creativity. We simply cannot skip a bunch of steps; the old school approach isn’t always old school; it’s just about taking the time to work hard and learn how to be the best professionals we can be. Prove yourself and take advantage of the tools at your disposal and you will have a powerful impact on your world. Work in the direction of the job that you want. When searching for your new job, remember that it’s not just the position you’re evaluating but also the kind of company you’re looking to be a part of. Company culture is critical. Realistically, you’re going to learn what you need to do to perform your job and make an impact for the business but the real difference is the workplace environment. For many of us, particularly within the millennial generation, we want to work with people of a similar mindset. 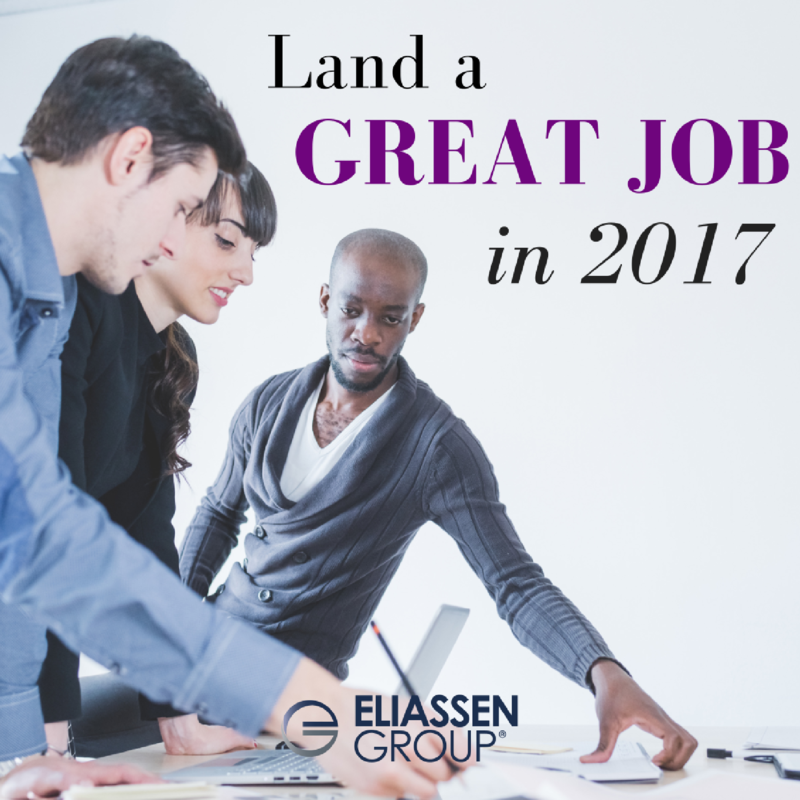 For me, for example, my focus at Eliassen Group is solely on becoming a better recruiter because my colleagues and company leaders inspire me to learn and become better at “my craft” every day. And a large part of this is based upon my ability to interact with my team and the candidates and clients that I support. Practice, practice, practice. This goes along with the “no skipping steps” advice. If you’re not a chatty, outgoing person and are concerned that your interpersonal skills could use some improvement, then get out there and network. Attend events, meetups, cocktail parties, conferences, etc. There are so many opportunities to get out there and practice face-to-face. Set a goal this year to attend one event per month and then get out there…and not with your best friend. Sometimes we have to endure a little bit of discomfort to attain our goals so make a plan and stick to it. When we combine these interpersonal skills with powerful technology tools, the sky’s the limit! Are you seeking a new opportunity but you need some help figuring out a plan? We are happy to help! Reach out to us at info@eliassen.com or by phone at: 800.354.2773.